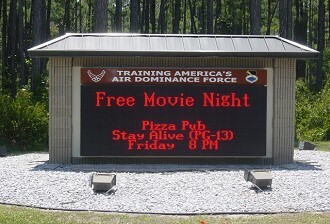 Our Outdoor Electronic Signs can be used to advertise your products and services at a moments notice, to dramatically increase your company's sales and profits like no other advertising medium can. 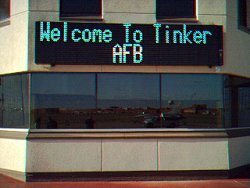 We offer a full Selection of Outdoor Electronic Signs including LED Marquees available in full color, monochrome 256 shades, text, graphics, and video. 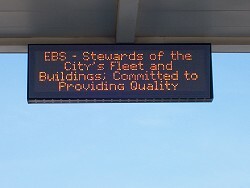 Our electronic messaging signs will surpass your digital signage needs Contact us first for information on outdoor electronic signs , and get a no-cost, no-obligation quote. The 17mm series is specifically designed to provide highly visible outdoor advertising along any local city street. 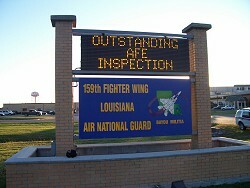 5-Inch to 22-inch letters, and high display resolution make it ideal for monument applications, lower pylon, and slower city traffic volumes. Brilliant red or amber LEDs with 256-shades/grayscaling will grab attention and bring more drive-by customers into your business. 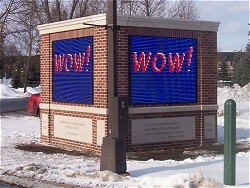 The 35mm monocolor series is designed to deliver highly visible outdoor advertising along any city or main street. 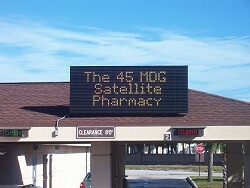 1-ft. to 4-ft. letters, and medium display resolution make it ideal for pole or monument applications and almost any traffic volume. Brilliant red or amber LEDs with 256-shades/grayscaling will grab attention and bring more drive-by customers into your business. 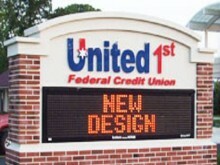 The Full Color Series is designed to provide the ultimate outdoor advertising experience. High-resolution video impact adds excitement to your business, and provides the latest technology that will meet your needs now and into the future. Excite designs are all digital. The Full Color Series advanced architecture provides lightning fast DVI connectivity, pure image transmissions without analog loss, and huge file display processing. The Highway series is designed for maximum visibility along highways, highly elevated installations, or any application requiring long distance visibility. The EA 2500 offers many features and functions; front-serviceable case, wireless control, more memory, faster installation design features, and improved visibility. 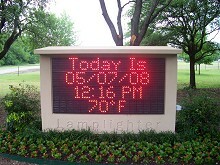 The individual LED's are on a .45 " pitch, with array sizes from 96 x by 16 rows, to 192 x 80 rows. 30-Degree lamps are standard, 70-degree lamps are not required due to the close pitch. Available in red and amber. ENTECH offers a diverse selection of monument designs. You can choose from one of forty standard models, or design your own! As master fabricators, for us the manufacturing process of custom foam monument structures is a breeze. Simply choose your design, graphics, and message and we'll put it all together for you. We also have hand sculpted, stone and brick designs to add the perfect finishing touch to your next architectural monument project. 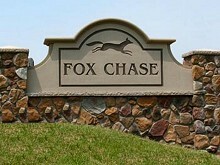 Stone Monument Signs and Brick Monument Signs have never been easier! Choose one of our standard stone designs or send us a picture of your existing brick or stone and we will be glad to provide a custom color match free-of-charge. All of our faux stone designs are hand sculpted by our team of skilled artists using a mixture of artistic mediums; then fully encapsulated in our exclusive hybrid plastic polymer hard coat that eliminates fading, peeling or ripping. Copyright © 2008 Entech Signs, LLC. 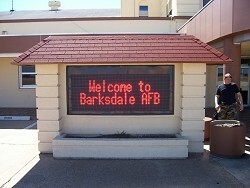 Electronic Signs. Dallas/Fort Worth, Texas.